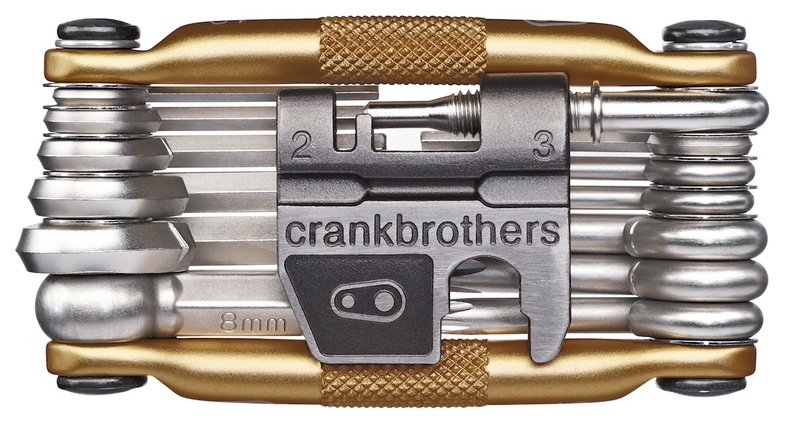 The Crank Brothers Multi-5 Multi Tool is many useful tools combined in a lightweight aluminum case for repairs on the go. Constructed with a 6061-T6 aluminum frame with 6150 high tensile steel tools. Includes: 2, 2.5, 3, 4, 5, 6, and 8mm Hex Keys, # 1-4 Spoke Wrenches, 8-, 9-, 10-speed Compatible Chain Tool, T10 and T25 Torx, 2 Phillips and 1 Flat-head Screwdriver, 8mm and 10mm Open Wrenches.